Here is a link to the full press conference. 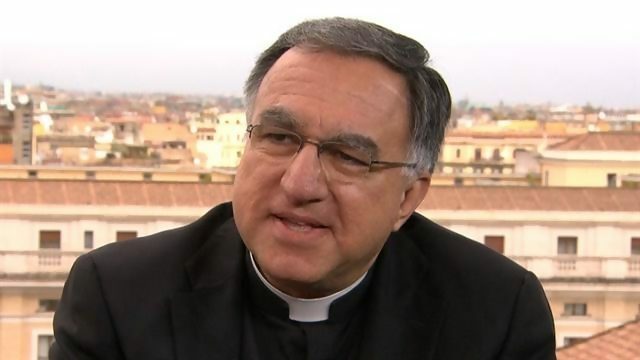 Father Rosica’s brief questions on the diaconate begin at about 24:08. Before going on, let me point out that by focusing on this particular issue I am not ignoring other and far more substantive matters before the Synod! However, deacons are not often mentioned in a context such as this, so it seems important for those of us interested in the diaconate to stop and take a closer look. First: this was a summary given by Father Rosica. It suggests that the questions may have been present in the interventions by several bishops, but we don’t know any other details. Therefore, the phrasing of the summary is Rosica’s alone and we want to be cautious not to read too much into it as we would if it were contained in some kind of magisterial document! 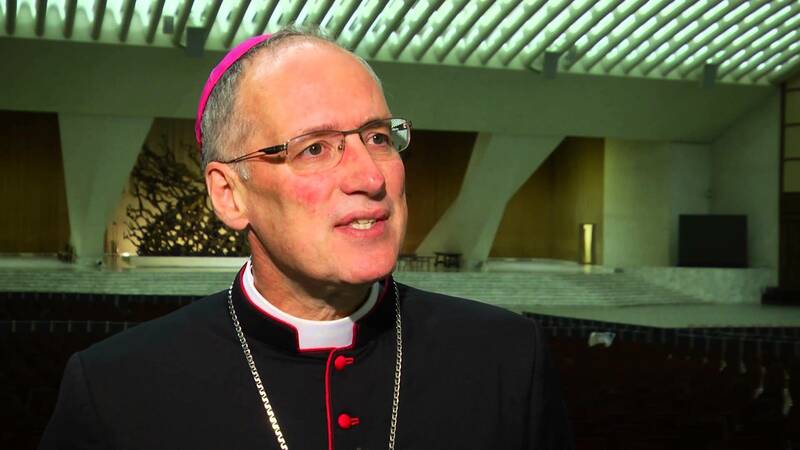 Second: Although Father Rosica doesn’t allude to the intervention of Canadian Archbishop Paul-Andre Durocher of Gatineau, Quebec (who was also present at the press conference but remained silent on this point), I’m guessing that it was within the context of “how can permanent deacons be real ministers or bearers of mercy?” that the Archbishop may have offered his intervention that there should be a conversation about women deacons. From what I’ve seen so far, however, there’s no way to confirm that. So, I do not wish to sidetrack onto that specific question in any case, because I think that Rosica’s questions themselves have foundational importance to how we understand and employ the diaconate in general. Third: Although the Synod is, of course, focused on the family, notice how the questions on the diaconate refer in a particular way to mercy itself, so these are very broad based questions that suggest important opportunities for the diaconate in general, not simply within the context of the family. Are we truly ministers of mercy? If yes, how precisely are we doing that, across the spectrum of Word, Sacrament, and Charity? Am I full of mercy when I preach and teach? Am I full of mercy when we celebrate baptisms and weddings and all the myriad liturgical and sacramental ministries we’re involved in? Am I full of mercy when offering a helping hand to the sick, marginalized, and the dying? After this examination of conscience, are there specific ways — more intentional ways — of conveying God’s mercy to others. What are the very concrete ways (the “concrete consequences” of the deacon’s ministry referred to by Herbert Vorgrimler) we can be better at this? After all, if the bishops (or Father Rosica) don’t perceive that we’re already doing this, then that perception is problematic and we need to work to fix it. First: Notice the distinction he makes between the diaconate itself and those of us who are deacons. This suggests that there is interest in the very nature of the diaconate, the fundamental core of the Order. Second: What are the possible “new ways” of using the diaconate? Taking just one example: might there be a re-opening of the question of deacons anointing the sick under certain circumstances, perhaps? Most of the ways we can be used are already included in our canon and liturgical law, so something “new” would seem to be suggesting a willingness to look at things not previously considered. 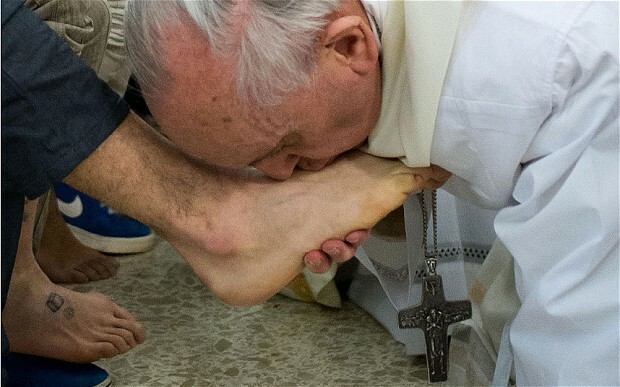 I am using Anointing of the Sick only as an example here; I am not promoting it or suggesting that this is what is being suggested at the Synod. But if the bishops are open to looking at “new ways” of using deacons, what might come up in the discussions? Third: When Father Rosica alludes to deacons becoming “real ministers and bearers of mercy,” the first thing I thought of was what is happening with our priests in this regard. Remember that the Holy Father has found new ways for priests to extend the hand of God’s mercy through sacramental reconciliation, and that he’s even identifying priests to go around the world to offer reconciliation. Again not wanting to read too much into Father Rosica’s words here, but what additional responsibilities — what “new ways” — might the bishops find for deacons to take on? Again, I am not proposing anything, and in particular, I am not suggesting that we start hearing confessions! 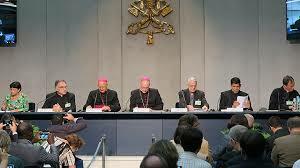 However, the questions here are most intriguing, and it will be interesting to see what the bishops might discuss. If for no other reason then, these questions give us much to pray over and to ponder in the days and weeks ahead. How can we deepen and extend our existing activities even more to convey God’s mercy to all?